Depending on the value of the product(s) being returned or exchanged, you should consider insuring your shipment. Sun Flight Publishing is not responsible for items lost in shipment. 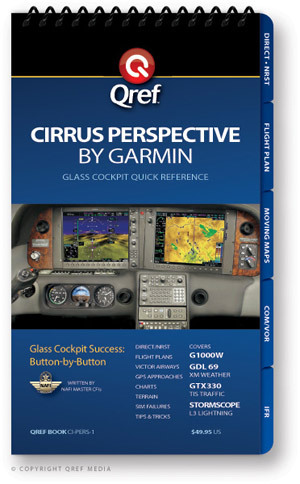 Refunds will only be granted by Sun Flight Avionics if the product(s) are purchased through either www.SunFlightAvionics.com or directly from Sun Flight Avionics personnel. Any computer-based software has not been registered. Registered software may only have the disk exchanged for an identical title in the event of a disk failure. If the Sun Flight Avionics product was purchased through a retail outlet, it is at the discretion of the retail merchant whether to grant a refund. Product(s) purchased through the Sun Flight Avionics website may not be returned or exchanged at retail locations that sell Sun Flight Avionics product(s). Refunds will be granted for the purchase price indicated on the receipt or electronic record. Shipping and handling costs will not be refunded. You should consider insuring your shipment depending on the value of the returned product(s). All shipments over $50 in value are automatically insured.